Blue jeans are often the workhorses of a guy’s closet—and for good reason. They’re reliable, durable, and when you find a great-fitting pair, you never want to take them off. But what if we told you that you can have all of those things, and try something new? One of our expert stylists, Brianne, has a few suggestions on how to add some variety into your pants rotation, so you can update your everyday look and give your blues a break. Do you find yourself sticking to the most neutral-of-the-neutrals, like black, white, or grey? “Colorful twills are a great way to start incorporating more color into your wardrobe,” says Brianne. 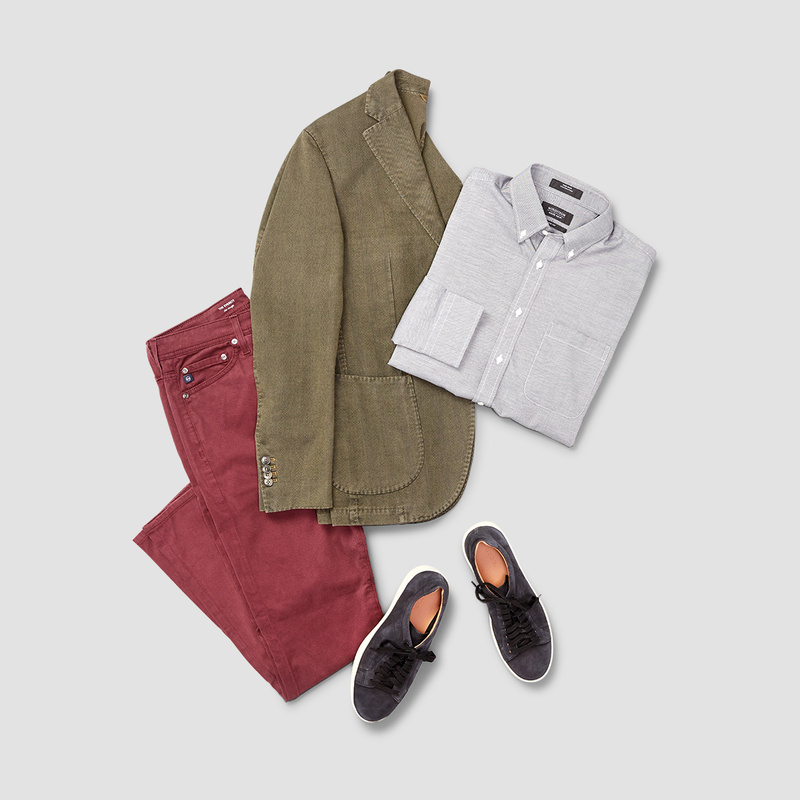 Simply pair a colored twill pant with a neutral shirt and an earth-tone third piece, like this olive sport coat, to keep your look buttoned up. With just the right amount of muted color, this is a great alternative to your traditional casual Friday outfit. Like pumpkin spice in a latte, no fall look is complete without a plaid shirt. 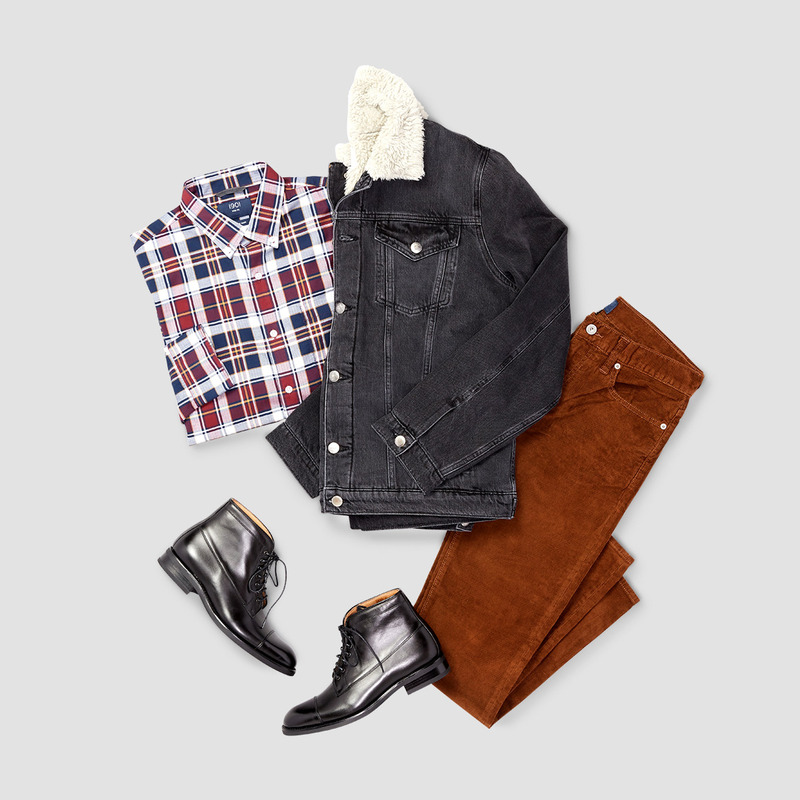 It’s kind of a prerequisite, and there’s nothing wrong with pairing one with a great pair of leather boots and a denim jacket (always in style). But the twist on this outfit is the pants. 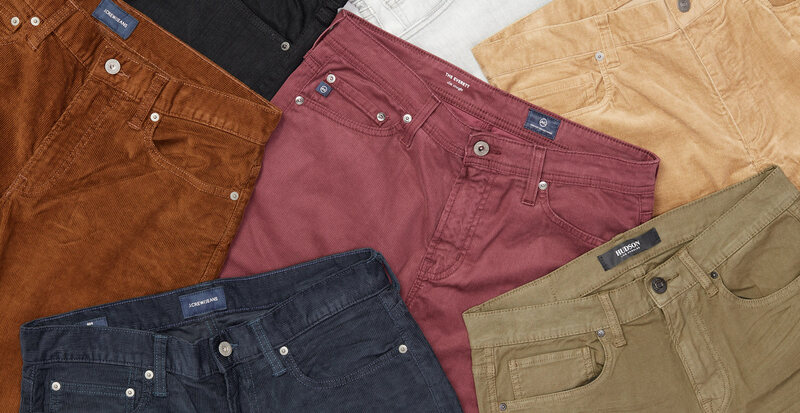 Where dark blue denim may be your instinct, try a pair of cords instead. Corduroy is just as durable as denim, and its soft texture is perfect for the season. A slim-fitting pant in warm brown should easily pair with a variety of items in your closet, as would classic navy.